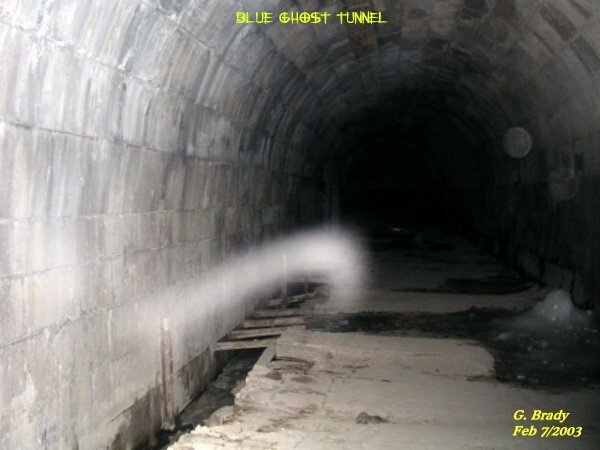 We returned back to the BGT this weekend because the tunnel provides warmth to some point while investigating the tunnel. The tunnel acts as a shelter from the wind and blowing snow. This night there was a calm over the tunnel that felt really out of place, yet it added to what might get caught on film tonight. Cathy was ahead of me and she had company creeping up beside her. The ecto mist seemed to be a form of a snake or some type creature. Whatever it was it seemed to have an attraction towards Cathy. This energy form emerging from the left wall of the tunnel seemed to be the trademark of NIKE. Of course it was not that at all, but just a spirit that got caught in energy form. 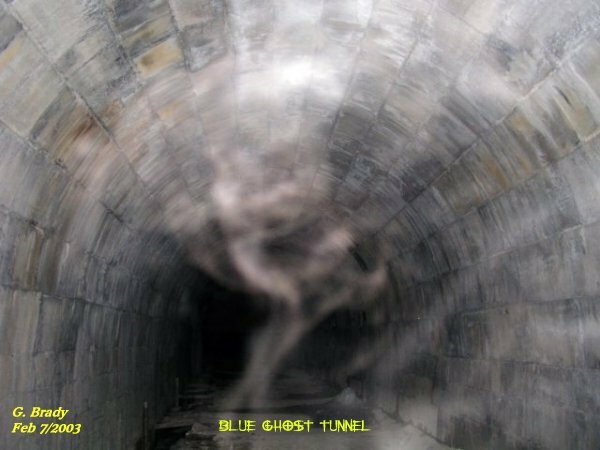 In this photo it shows a strange energy form starting to take shape in the middle of the tunnel not too far from where I was standing. I have seen this type of energy before and again a very vibrant and fully energized entity appeared right in front of my camera. Notice the intense glow from the spirit form. We do not always come across this type of energy every time we are at the tunnel. When this happens one gets a spider web effect across the face along with a sense of feeling ice cold and something standing or going by you. 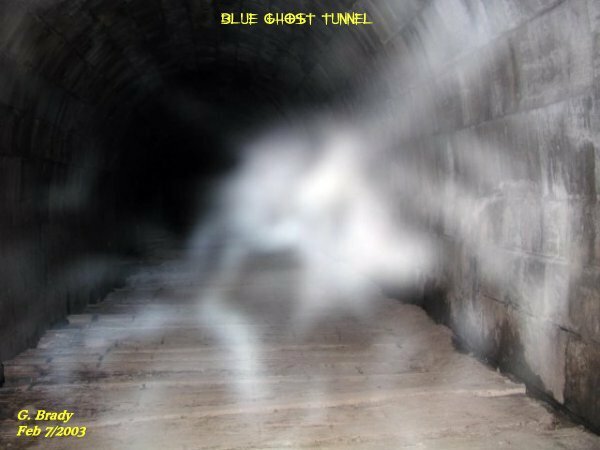 Just before we left this night I got this entity forming near the entrance to the tunnel. Just what it was going to form into is anyones guess. I had taken almost 300 pictures this night and I came up with the best ones I got for this investigation. 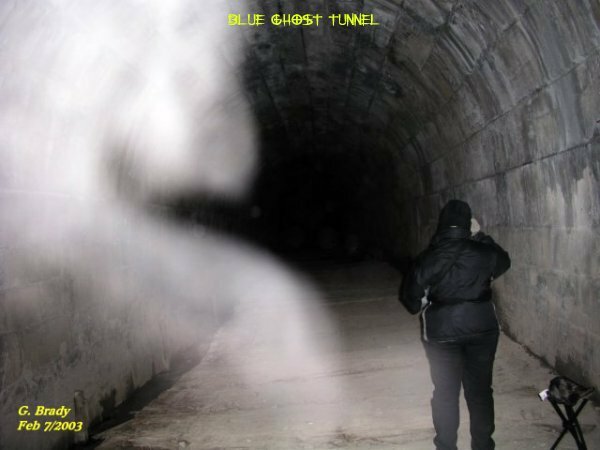 Each time we visit the tunnel we always come away with something to show to those that follow our investigations. 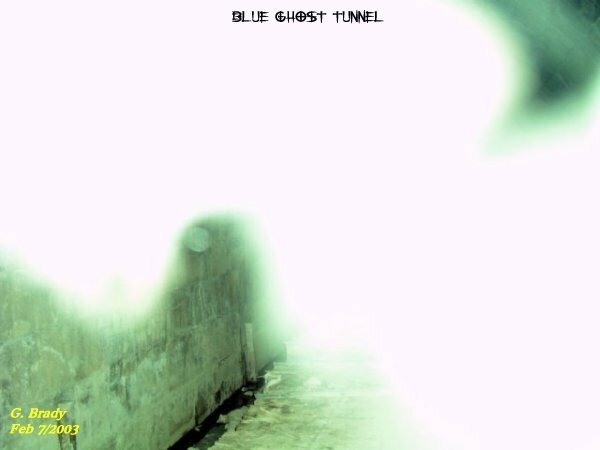 We hope that you the viewer will visit the tunnel yourself and take your own pictures someday. We are sure the tunnel will make your trip one to remember.